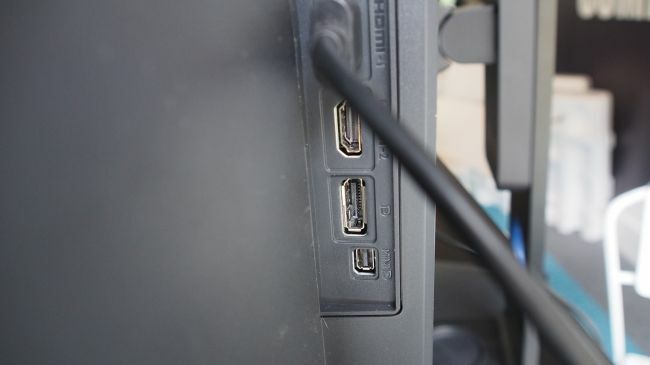 It means that having a large 4K monitor isn’t going to necessarily break the bank. However, there are 4K monitors out there that are cheaper. The Acer XB281HK, for example, is a 28-inch UHD monitor with G-Sync and a 1ms response rate, and can be had for £600 (around $800, AU$1,000). The Philips 328P6VJEB is another 4K monitor that’s the same size as the BenQ PD3200U, but can be had for around £530 ($700, AU$900). It doesn’t feature some of the BenQ PD3200U’s professional-orientated features (about which we’ll go into more detail later on), but if those don’t appeal it’s a good alternative for a more affordable price. 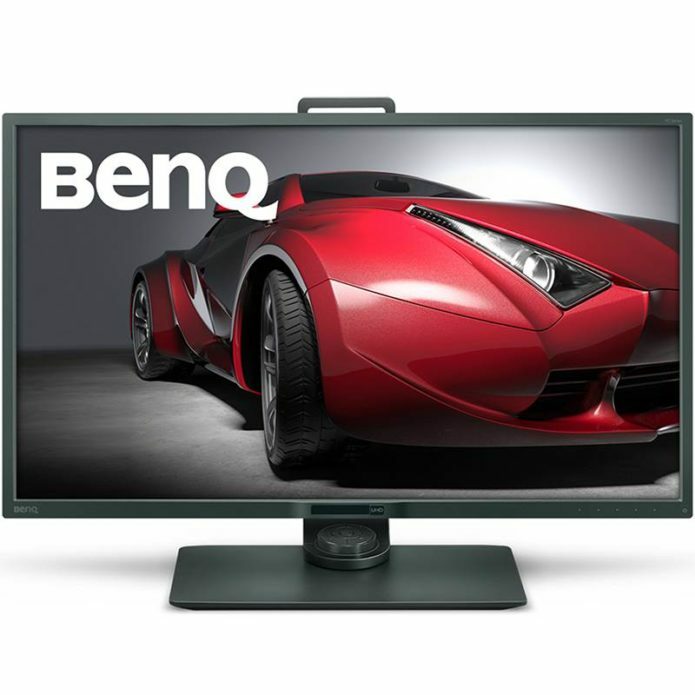 Design-wise the BenQ PD3200U looks simple yet elegant. 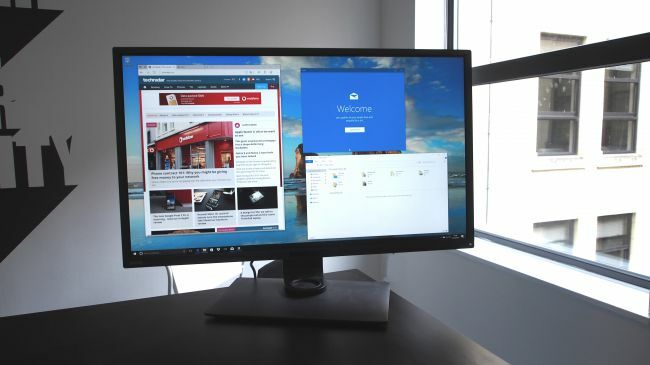 It’s clear this is a monitor made with work and productivity in mind, and there are none of the garish design flourishes you’ll find on some gaming displays. 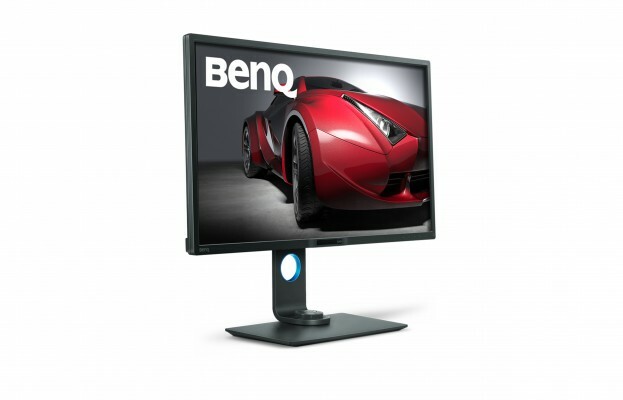 BenQ describes it as a ‘simple, functional design for increased efficiency’, which we’d broadly agree with. At 32 inches this is a large monitor, but thanks to the thin bezels that surround it, its actual footprint isn’t that big, so it doesn’t feel like it’s taking up an inordinate amount of space on your desk. The adjustable stand can be put together and attached to the screen without the need for any tools, which makes set-up nice and easy, yet it still feels sturdy. A carry handle at the top of the neck makes the BenQ PD3200U easily portable as well (although its size means you won’t be wanting to lug it over long distances). We were able to work comfortably on the BenQ PD3200U with a large number of programs and windows open, including web browsers (full of tabs, naturally), which were able to show almost entire web pages without the need for scrolling, along with a word processor, image editor and more. 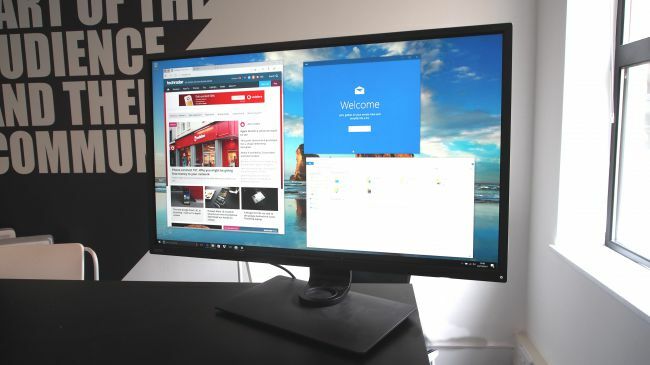 The resolution of UHD is equivalent to four 1080p screens, and it really does feel like you have a huge amount of space when using the BenQ PD3200U – without the fuss and extra space you’d require if using four separate monitors. Images and video files also looked excellent on the BenQ PD3200U. This is where the factory calibration really comes into its own, as we’ve often had monitors in for review on which we’ve had to fiddle around with some of the settings to get the optimum image quality. That wasn’t necessary with the BenQ PD3200U, as it looked fantastic straight out of the box. The various modes bring some enhancements, although ones such as CAD/CAM mode will only be of use to a small market of professionals. 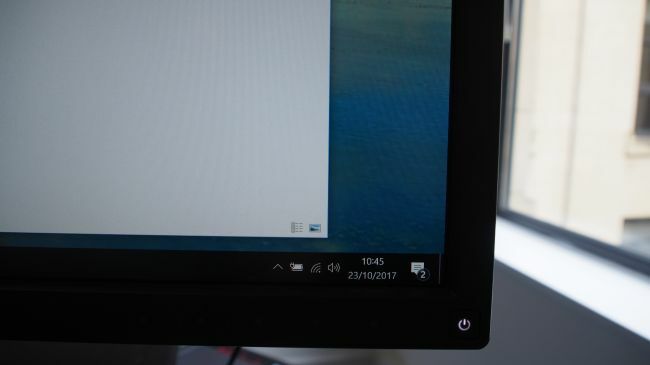 If you’re buying this as a business monitor for your work you’ll be pretty impressed with its performance, especially considering its price. But what about performance for non-professional applications? The BenQ PD3200U supports HDR, which along with the HDMI 2.0 support makes this a viable screen for 4K games consoles and UHD. We also hooked it up to a gaming rig with a mighty Nvidia GTX 1080 Ti graphics card, which does a pretty decent job of pushing games at 4K resolution, and they really did look superb.